A retired NASA flight surgeon (Bill Carpentier), and a team of space researchers (including this blog poster), re-analyzed data from the earliest manned missions to space and in a new paper, show evidence that key physiological changes once thought to be caused by weightless , actually correlate better with time spent in the space suit. These findings about mission equipment are directly relevant for any trip to space, but most especially for new commercial spaceflight missions that will have short mission durations, like the Mercury missions did. I joined NASA in 1965 as a flight surgeon trainee and was privileged to participate in a great adventure. I was a recovery flight surgeon providing helicopter-based medical support for astronaut rescue operations during the Gemini and Apollo programs. Now, looking back years later, my primary goal is to develop a comprehensive medical data base from the first decade of manned space flight. A secondary goal is to make these data available to the larger scientific community in order to enable interdisciplinary evaluation of this data. Valuable space flight medical data have been collected for over 50 years, but these data have not been collated nor analyzed using an integrated approach. A 21st century scientific approach to this early space age data would provide a clearer strategy for providing quality care for future flight crews today and provide a better basis for evidence-based countermeasures to address potential concerns. By integrating the data from all flights from the first decade into one model, it appears that most of the changes that occurred during short-term space flight were predictable and probably preventable. Prior to Project Mercury, the effects of microgravity on human physiology were unknown. There were no “space-normal” values and no methods to determine if an astronaut was approaching a threshold of tolerance. 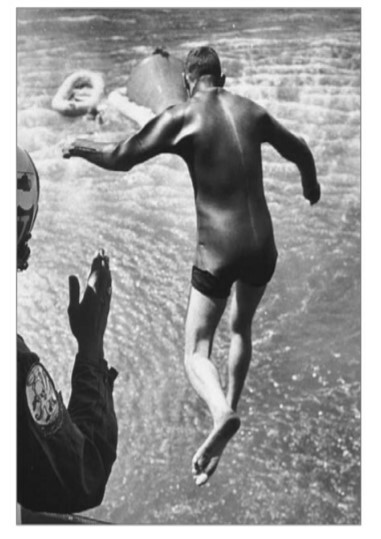 Individual astronaut physical norms were based on medical data acquired on preflight centrifuge runs and simulations. These medical exams would provide baseline data in order to detect changes resulting from exposure to space flight. 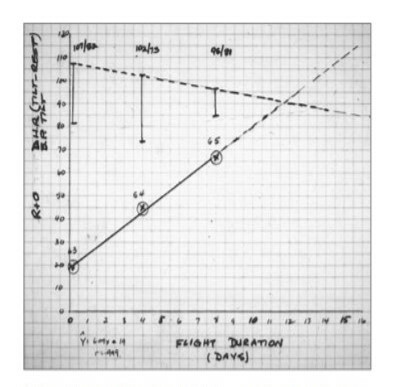 Basic clinical measurements in the Mercury flights were made with the tools that were available at the time and no significant physiological abnormalities were noted inflight. However, significant postflight changes were noted, including weight loss, increased heart rate and decreased systolic blood pressure in all crewmembers. Project Mercury was unique in that there were multiple preflight simulations in the spacecraft that were analogous to the flights. The weight loss and heart rate changes following the simulations under normal gravity conditions were very similar to what was seen after each space flight. This was an important finding - training sessions and protocol rehearsals on the ground before a mission could be used to learn about and predict physiological responses. We saw that weight loss and heart rate changes following the flights could be accounted for by a combination of limited fluid intake and increased sweating while wearing a Mercury full pressure suit. The changes are related more to time spent in a space suit than to time spent weightless in space. This points out how dependent we are on our equipment during space flight. Equipment is an aspect of spaceflight missions that can be controlled- once flaws are identified, we can make improvements to the equipment. As multiple companies now prepare vehicles for suborbital and orbital flights, there are opportunities to reevaluate lessons learned from these early space flights and to ensure that we incorporate these lessons into new designs. This paper is one part of our effort to make data from the early spaceflight missions available for use by people planning the next phases of human spaceflight, which are slated to be more accessible to more different kinds of people.